Even when it seems totally hopeless, there is a lot to be said for sticking out! Well, Pat got there and we started the camera–and he turned out to be a natural. Don’t be surprised if he ends up doing more shoots with us in the future! The object was to use this episode to show to how to fish salmon or steelhead roe off the bottom. First we concentrated on the stumbling block of many neophyte roe bouncers, the egg loop knot. The egg loop is really just a snell knot tied below 9 to 11 wraps of leader so the angler can have a free-moving leader between the eye of the hook and snell. Add a tie of Glo-Bug yarn and put it below a float or up from a lead slinky and you’ve got a pretty effective rig for hooking up with a steelhead. The key again is putting in the time…Bass, salmon, bluegills, trout, these fish have been pretty easy for me to get into. 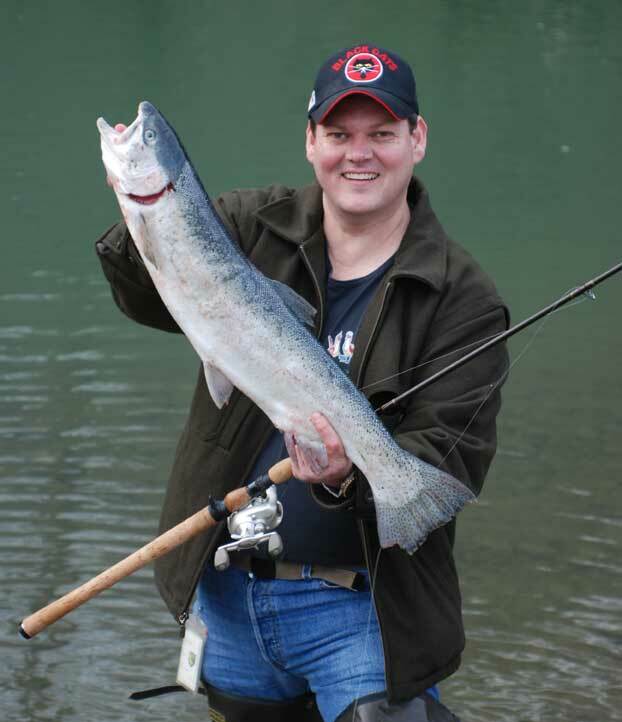 But steelhead, these are the ones that have really been the source of some headaches. The water was perfect, running at just over 700 cfs at the Healdsburg water station, so there were definitely high hopes! Egg loop instructions done, we moved to casting and that’s when the fish hit, one hour casting later. Needless to say we got lucky and the results are in the latest episode. The link is up there on the left of this page. Enjoy! You may call me partial, because outdoor writer and TV show host Scott Haugen is a stand up guy and my friend…but this book is really GREAT! delivers in this masterpiece. Perhaps it’s because he was a biology teacher for years in Alaska and Indonesia, or has a phenomenal understanding of how to use a map from his university days in cartography-the major he took up for his bachelors he concedes was for improving his deer hunting-but he really teaches the reader how to not only recognize what makes blacktail deer special, but how to effectively hunt them as a blacktail deer hunter and not a misplaced whitetail or mule deer hunter. Starting with a foreword by another well-proven hunting writer, Bob Robb, Trophy Blacktails’ chapter one covers the deer itself, taking you through physical characteristics and average blacktail life-cycle and then moving to diet. What caught me off guard was the information on Deer Hair Loss Syndrome (DHLS)! I’d never even heard of it down here in California, but up in Oregon and Washington this is one big bad dude! DHLS is a caused by a louse that came to Washington from either the African or Asian continent, latin name Damalinia Cervicola. DHLS results from the horrendous skin biting from the louse. As the hair is lost, the deer’s own biting and rubbing against the irritation leads to intense stress, and that added to chill of early fall and definitely during winter, deer loses too much weight and dies. Haugen describes two events of young deer standing near the wall of their house to hide from wind, only to see them within three days, dead. It’s just in the last few years that DHLS has been seen in the most northern reaches of California. Who knows how long before it reaches down the rest of the coast and ventures further into mule populations, too? Perhaps the more benign temperatures south of San Francisco might help in keeping DHLS at bay, though just as likely not Damalinia Cervicola itself. Stay tuned! Haugen carries on with record books classifications and trophy judging. He then delves into a very important aspect of hunting overall and in hunting blacktails specifically: The Mental and Physical Game. This book is a book for trophy blacktail deer hunter, in contrast to the recreational, though all deer hunters will benefit greatly from reading Trophy Blacktails. 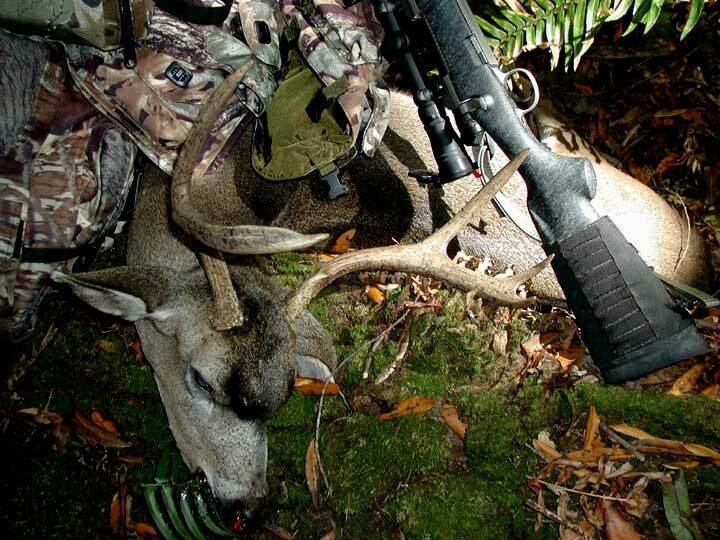 It’s not as hard to get an average blacktail as compared to one that has lived more than two or three years. Most deer taken are in the two three-year range. To get the buck that has survived longer than five years that’s when you’re getting to the bucks that anyone would unbegrudgingly call, trophy, and that’s the range logged in the books. That takes a mental and physical conditioning most are not prepared to follow through with, but if you do, Haugen suggestions will be that much easier to follow toward your own wall-hangers. Chapter two takes the reader through the strategies and planning taking into consideration blacktail behavior and scouting tactics, along with the best times and places to hunt for antler sheds. Fullfilling the rest of the strategies includes map research, locating does, and most controversial especially in California where the DFG frown and actually makes it illegal to implement: food plots. Personally, considering how poorly the California DFG has managed its deer herds and major predators as the result of insane political pressures that have nothing to do with actually improving wildlife populations, I’m all for food plots. If I had my way, I’d have every hiker going into national forests and parks to plant foods that are most beneficial to deer, but also collaterally turkey, squirrels, quail and a number of non-game species. I’ve always held to the belief that if you take care of the habitat the populations will follow. Is it any wonder that in the Eastern United States they’re complaining that hunters aren’t taking enough deer? Or that here in California our salmon populations have hit near rock bottom? Blow a few more dams and salmon populations will skyrocket back to what they were-how many people know that before the dam was put in to form Lake Shasta, the largest salmon run in America was the Sacramento River run? Yes, even larger than Kenai in Alaska! How many more blacktail deer would we have in California if we allowed landowners to legally plant property to draw and feed blacktail deer with strategically placed food plots? Probably the same large healthy population of deer they have back east. As for predators, they’ve needed a proper management program in this state for years. And no, contrary to what the Mountain Lion Foundation and other groups that make money off keeping the cougar on the no-hunt list, predator populations don’t drop along with the prey. They keep growing, eating everything until it’s gone, simply moving to find more prey, i.e. your dogs and cats in lower altitude areas as we’ve seen this drought year. If you want to help deer populations, like I do: shoot two to three predators for every deer that you take and you might just make a small enough dent in bobcat and coyote population, and mountain lion population if the DFG’d actually get on the ball on this like they do in Washington, Idaho and California: isn’t it ironic that since mountain lions have been on the no-hunt list, there have been more mountain lions killed on depredations permits than there would ever have been on a hunting license/tag system? Right attitude: keep a healthy mountain lion population in California. Wrong implementation! 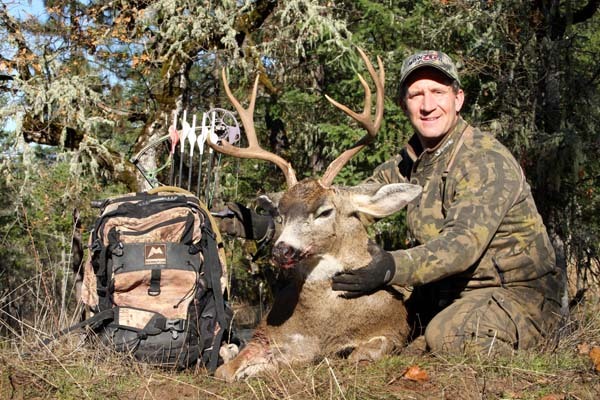 Now implementing the tactics described in Haugen’s Trophy Blacktails will bring you much more success than DFG strategies have brought to the improvement of California deer populations. Haugen shares these with you in a seasonal format that goes into the Early Season, Mid-Season, and Late Season. 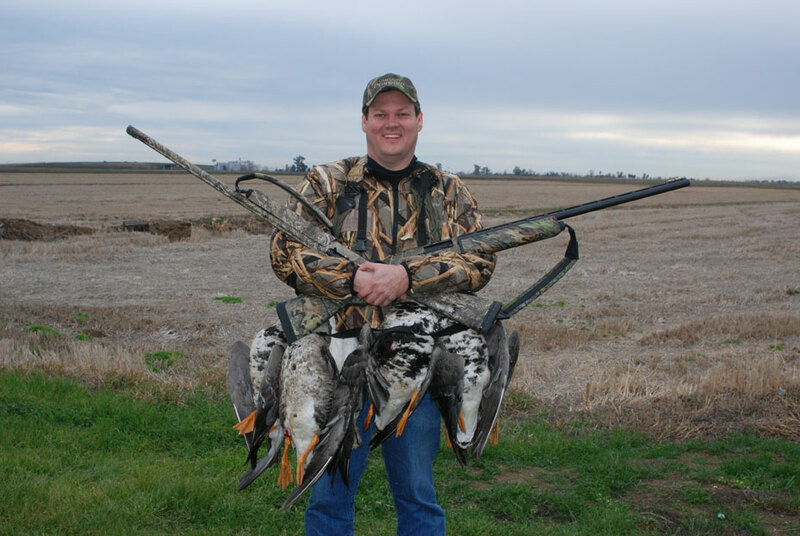 As I hunt in California’s A Zone, I was most intrigued by what an Oregonian had to say about the early season as we start one to two months before the northern states. During the first half of the archery season that starts in July, most of the bucks are in velvet so it’s much easier to find deer in the open as they’re trying to keep them from breaking off on a tree or branch. Once the velvet gets rubbed off, they deer get real spooky and often become nocturnal, especially on public land with heavy hunting pressure. By rifle season the bucks are deep during the day, offering a slight opportunity in the last one to two hours of daylight morning and evening. Because of this and the overgrown brush that has just gotten worse because of overzealous fire protection foregoing widespread controlled burning, with a tradition of use that goes back to the Spanish, we’re allowed to use dogs to basically drive deer out of that deep manzanita, low oak and chemise, though even those dogs don’t guarantee success as described in an article I wrote for Hunting the West magazine a few years back. Cork's Blacktail taken with ELK, Inc. "Deer Talk Call"
Haugen really shines in his description of using calls, blinds and stands. Also of note is using spotting scopes for checking out the feeding habits of the targeted bucks. As one who called in a nice 3X2 in 2005, I’m a true believer in using deer calls. When used during the rut, which in the A Zone can occur during the last two weeks of the season, fawn calls can be very effective. The buck in question came in following a doe that was responding to the bleat I made with an ELK, Inc. “Deer Talk Call”. There is one last caveat about Trophy Blacktails. I wish publisher had included an index for speedier referencing, something I do when riding up to a hunt or preparing a plan. I’m confident considering the excellent quality photos and content on this first run by Haugen Enterprises that the following publications will have that much needed index.